Merry Christmas! The house looks beautiful! How pretty....send me some of that snow!!! Merry Christmas Witch...I hope you guys have a wonderful, wonderful holiday season!!!! OOOh a white Christmas too! I've somehow missed your last couple of posts, and am glad I've had the chance this evening to sit and catch up! To start, congrats on winning the contest!! The picture was just stunning and perfect and I can't imagine another being better than that!! Second, I love you mantle and your decorations! Third, I so enjoy our 'blogging friendship' and look forward to that continuing in 2012! I hope you've had a good day, and Santa was good to you!! 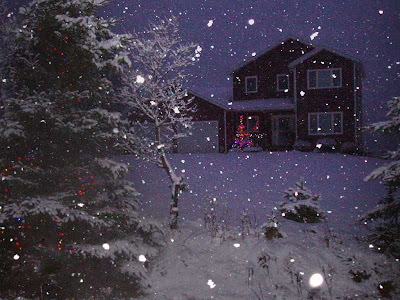 We have a white Christmas too, up until Friday it was doubtful we would. I love your house, it looks so pretty all decorated! Awww soo beautiful!! Merry Christmas! :) Hope it's been a wonderful one! Beautiful photo. Hasn't the snow been just lovely? Nice and fluffy to look at a short while and then, off it goes, starting to disappear. Hope you had a wonderful Christmas and are enjoying some time at home with family. Best wishes to you in the new year. 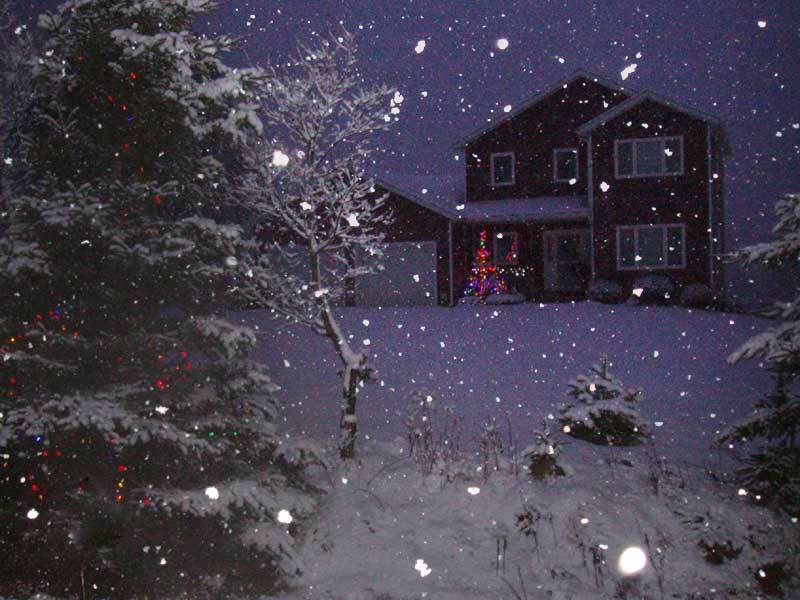 gorgeous photo, it's snowing like heck here at the moment. Happy New Year, Witch and your DH :-) Hope it's a great one!